Here comes the sun. 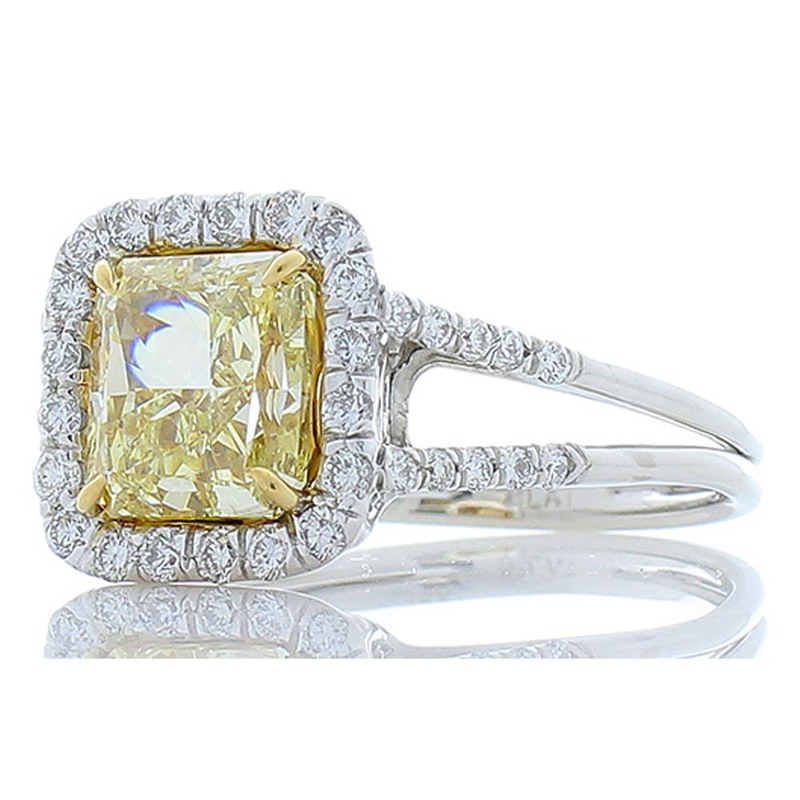 This sparkling sun kissed yellow diamond ring is a dream - with a capital �D�! The irresistible 2.70 Carat radiant cut center is set ablaze surrounded by glimmering white diamonds. Diamonds dance gleefully around the center and even make their way down the sides of the handmade platinum mounting, featuring an attractive split-shank design. These dazzling additions bring the diamond weight total to an astounding 3.20 carat! There is no better way to commemorate a significant event, than with a ring of this caliber.